I came to the Ivanka Vacuuming exhibit a bit breathless and self-conscious. I made sure that the outfit I was wearing was dust-free, and that my leather bag was fastened shut. I even debated on wearing a bit of perfume. Bizarrely, I was wondering how to be in the presence of someone who presents herself so perfectly, even if it would ostensibly be as much of a representation of Ivanka Trump as I would see in Madame Tussauds’. 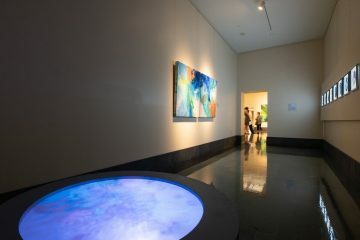 I walked inside Flashpoint Gallery and surveyed the room. A group of girls in winter coats huddled off to one side, looking at the model—an impossibly beautiful and younger version of Ms. Trump—standing up ballerina-straight and pushing a Shark vacuum, wearing a pink dress on plush pink carpet. 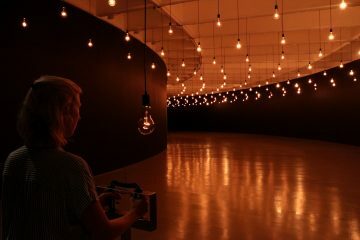 On the other side of the exhibition, men watched her vacuum the floor; all the while, she was making graceful, uniform tracks on the flat carpet, creating an ASMR-like rhythmic sound. Front and center of it all was a pyramid of Panko crumbs on a white dais, occupying the one place of honor in a very strange installation. The artist, Jennifer Rubell, has long worked in conceptual performance and, in particular, with food, posing metaphorical and absurd problems to the viewer through physical interactions. 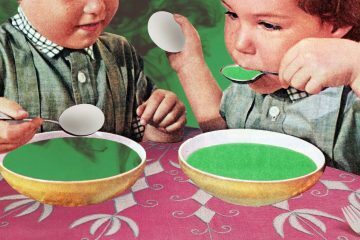 The daughter of world-famous art collectors Mera and Don Rubell, the artist has built a solid reputation on provocative, and often feminist, projects that incorporate sculpture, painting, video, and “food performance,” with a deadpan sense of humor and a taste for the taboo. A man right in front of me threw breadcrumbs next to the model, smiling. She smiled back as she vacuumed them up. I went over, grabbed a bunch in my hand, and tossed them onto the carpet next to her. She slowly backed away from them, pushing her Dyson back and forth towards the center of the installation. I felt miffed. Why did she clean up his mess, and not mine? What made him so special? Maybe I was just projecting a fact: In the world of the uber-wealthy (and bigoted) like the Trumps, the only reason for my presence as a Black female would be to clean up their crumbs, to push the vacuum. And so, watching this model do something so humiliating, so repetitive, struck a nerve in me. Apparently, the installation also struck a nerve in Ivanka. On February 5, a few days after the opening, Ivanka’s Twitter commentary on the work was vague and ladylike: “Women can choose to knock each other down or build each other up. I choose the latter.” It interested me that she would choose these words to respond to something like this, after all of the other mocking things and likenesses that artists have made of her. 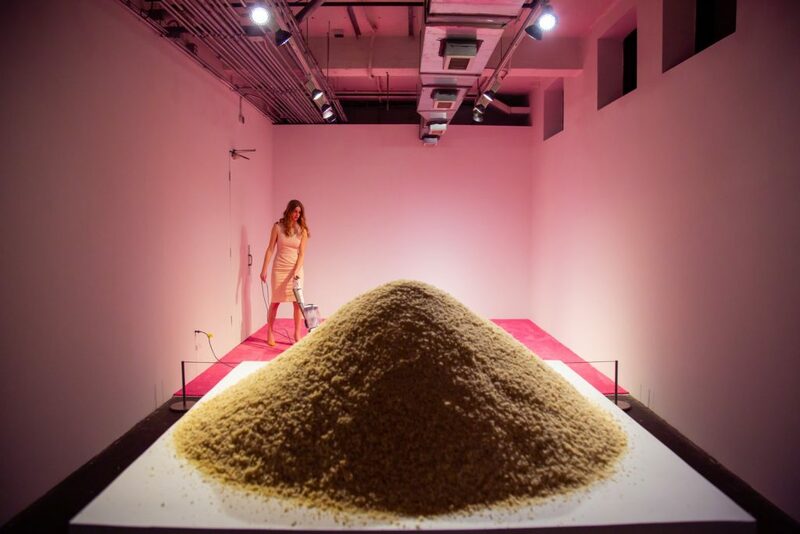 Also, it occurred to me that Jennifer Rubell, a member of a family that is possibly more wealthy than the Trumps, has achieved success and respect in her chosen field that Ivanka could only dream of in hers. And so, from one wealthy white woman to another, Ivanka received the rebuke, and not the social approval, from the only people that she would probably look to for it. Let’s revisit the materials: a pink carpet, breadcrumbs, a Dyson vacuum, a pretty girl in a pink dress. Also, a pedestal—not for the Ivanka model, but for the crumbs. Ivanka Vacuuming feels like a vivid dream, a setup for a punchline in a different language. The expensive Panko breadcrumbs are a clear parallel to Marie Antoinette’s famous/possibly mythical “Let them eat cake.” But there’s also a sense of time passing in an hourglass, as the crumbs get sucked away and the pile grows smaller. The crumbs’ golden color might allude to money being thrown away by the audience (taxes, anyone?) for little Ivanka to clean up for herself—it transforms into something dirty in the process. The dress, an Ivanka Trump design that she wore to a G20 summit two years ago, draws even more attention to the greed that motivates so many of her family’s actions, as well as a lack of taste (seriously, the entire lower floor of Saks Off in DC is filled with her clothing—such a generous thing to offer to the poorer masses!). As for the model herself, such perfection can only be achieved through unnatural or incredibly fortunate means, or a mix of both. The model’s hair is abundant and dyed Legally Blonde. She is probably too young for Botox, but then again, she doesn’t need it. In fact, it could be argued that Ivanka’s been trying to capture the same beauty that this model actually has all on her own. It’s all a bit… sad. As people walked up and threw the crumbs down, their reactions expressed either joy or spite. The people hanging back and not participating only looked confused. Since I’m occupying both spaces as a writer, I wonder what Ivanka has done (or not) to deserve any of this—what exactly does being complicit mean? That she feels compelled to say nothing (like the model) or to clean up after the messy people in her life (unlike the model, who is more democratic in her approach to cleaning)? It’s significant that the real Ivanka’s usual counterparts—white males—have been replaced here by an endless flow of people who are about as equal to her financially as the vast majority of the French citizens of the 1700s were to the aristocracy. We are living in “Let them eat cake” times, but there’s no room in this exhibit to fit a guillotine. Also, that would be just barbaric. With this installation, the public can vent safely, and Ms. Trump’s stand-in can just as safely play along and seem as willing as the real Ms. Trump is to the man-children in her life. I reached out to the Meredith Rosen Gallery with an interview request for Jennifer Rubell. Below are the questions with her responses. I have been reading different articles about the work, and I find them very entertaining! They alternate between mild and extreme outrage, from calling it weird to an outright attack on womanhood itself. What, if anything, do you say about these reactions? It’s fascinating that one widespread assumption is that this is some kind of liberal attack on the right. I’m not really politically motivated, and I’m certainly not thinking this piece will further a left-wing agenda in any way. I’m much more interested in Ivanka Trump’s very forceful feminine identities, and our response to them. How does the piece deal with its undercurrents of classism and sexism, particularly in how the model acts while vacuuming? I noticed that she acted differently depending who came up to throw breadcrumbs, but I freely accept that I could be wrong about this. The main instructions I gave the model were to have good posture and look pleasant. I helped her figure out what to do when her arm got a little tired (pause, hair flip). Any reactions beyond that are her own. The sexism that the piece is dealing with is multi-faceted and nuanced: is it the sexism of a woman feeling she wants to or needs to present herself in a certain way? (And for whom?) Is it the sexism of dismissing someone because of their feminine self-presentation? 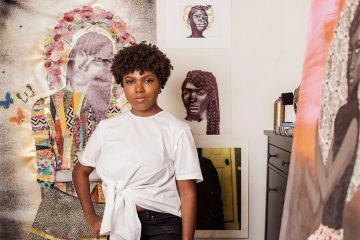 Is it the sexism of someone on Instagram calling me—the artist—ugly and jealous? It seems that the pretty housewife trope is universally desired among different races and classes within American society. There’s a certain luxury and wastefulness about it. Also, I noticed the barrier separating the audience from the participants that didn’t necessarily have to be there. How do you think the expectations of social position and physical boundaries pin some down and keep others out? The barrier is a typical system used by museums to bring viewers’ attention to the relationship of their bodies to an artwork, a reminder to maintain a separateness. For me, putting the barrier there was simultaneously a practical decision (it’s an easy way to create a safe zone for the performer); an assertion of this scene as an art object; and a metaphor for the barriers between classes, sexes, etc. It essentially positions the viewer/participant as an other, able to cross the boundary only in this very paltry and pathetic gesture of throwing crumbs. When I looked at Ivanka Trump’s IG a few years ago, and each picture in her feed was colored in practically every shade of pink. Is that where you got the idea from, or is it inspired by something else? I just think pink was a very obvious color choice. I mean, what other color could I have chosen? From what I’ve seen and understood about your work, the participatory act on a supine female body (e.g. “Consent” , “Lady Nutcracker” ) is meant to generate acts that debase or objectify “it” in some way. How do you draw the comparison between the restrictions/expressions of femininity and this new piece? I think choosing what kind of woman to be is so loaded and so difficult, and almost always such an invisible process. People’s reaction to our decision-making has an enormous effect on how we see ourselves in the world, and how we go on to define ourselves as women. These are some of the things I’m thinking about. Jennifer Rubell’s “Ivanka Vacuuming” at Flashpoint: Video by Lyric Prince from Bmoreart on Vimeo. *This post has been updated to correct the vacuum brand name and a description of the model’s hair. 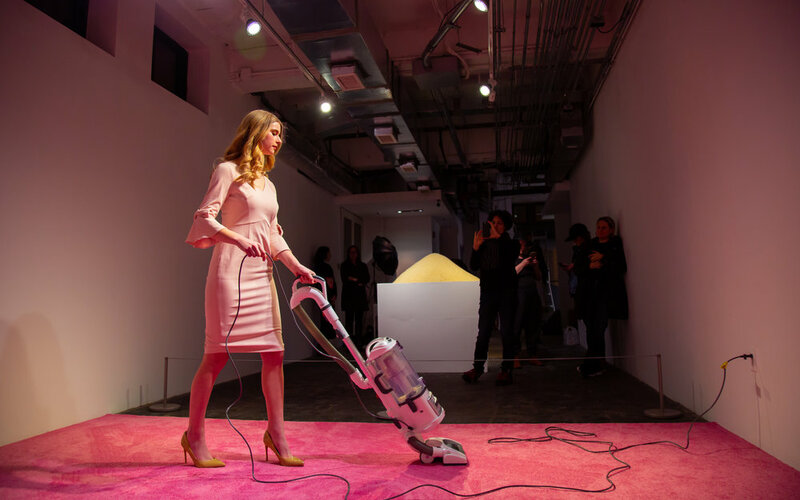 Ivanka Vacuuming will continue to exhibit every day from 6–8 p.m. at Flashpoint Gallery in Washington, DC. The installation will conclude on February 17. During the performance hours, live streaming will be available. Inspired by a figure whose public persona incorporates an almost comically wide range of feminine identities—daughter, wife, mother, sister, model, working woman, blonde—Ivanka Vacuuming is simultaneously a visual celebration of a contemporary feminine icon; a portrait of our own relationship to that figure; and a questioning of our complicity in her role-playing. 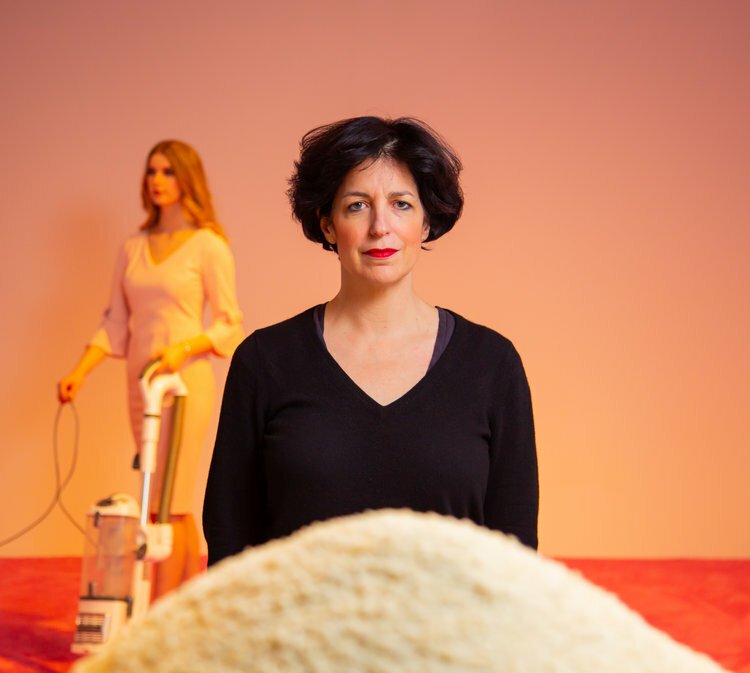 CulturalDC, as part of its 20th Anniversary Season, is thrilled to bring critically acclaimed American conceptual artist Jennifer Rubell to the nation’s capital for a limited engagement performance art piece, Ivanka Vacuuming, running February 1-17, 2019. CulturalDC (www.culturaldc.org) celebrates its 20th year of creating affordable, sustainable artist spaces in the Washington, DC, area. Since 1998, CulturalDC has brokered more than 300,000 square feet of artist space, including: the Arts Walk at Monroe Street Market, Atlas Performing Arts Center, GALA Hispanic Theatre, Source Theatre and Woolly Mammoth Theatre. 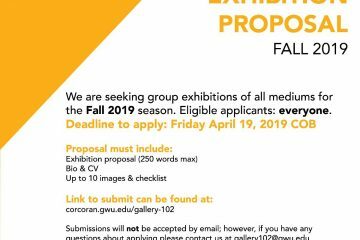 In addition to providing space, we facilitate opportunities for and present innovative visual, performing and multidisciplinary artists. CulturalDC’s Mobile Art Gallery is DC’s first moveable artspace and a commitment to use art as a catalyst to build community. 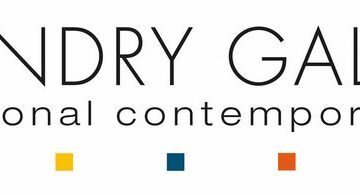 Each year, CulturalDC serves more than 1,000 artists and welcomes 40,000 audience members and participants who patron local businesses and contribute an estimated $1 million to the local economy.